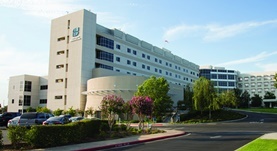 Dr. Bruce Ginier is a radiology specialist in Fresno, California and he works at several hospitals in the area, including Fresno Heart and Surgical Hospital and Community Regional Medical Center. He got his diploma from West Virginia University School of Medicine and did his internship at St Thomas Hospital. Dr. Bruce Ginier completed his residency in Radiology at the University of California Davis and Internal Medicine at St Thomas Hospital and also a fellowship in Neuroradiology at Stanford University. The doctor is certified in Diagnostic Radiology and Neuroradiology and has an experience of more than 20 years. Dr. Bruce Ginier has contributed to 3 publications. Lobular patterns of cerebellar activation in verbal working-memory and finger-tapping tasks as revealed by functional MRI. Desmond, J. E., Gabrieli, J. D., Wagner, A. D., Ginier, B. L., Glover, G. H.; J Neurosci. 1997 Dec 15. Ginier, B. L., Kim, R., Lane, B.; Acad Radiol. 1995 Oct.
MR imaging of intraventricular cysticercosis. Ginier, B. L., Poirier, V. C.; AJNR Am J Neuroradiol. 1992 Jul 01.